For the average person, this might mean packing a few protein bars and a bottle of water, but for star athletes or body builders it had always been necessary to carry a whole can of protein powder (or pre-measured amount in a baggie), a scoop, water and some kind of container to mix it all in. Joe and Megan Johnson met at Ultimate Training Camp, a summer program for college athletes. Joe was a wrestler at Michigan State and Megan was a cheerleader at the University of Arizona. Eventually they fell in love, got married, settled in East Lansing, Michigan, and had their son, Noah. Through it all they retained their commitment to good physical health and keeping in shape. Going to the gym still involved arranging for the recovery meal, and the same preparations involving protein powder and all the accompanying utensils and containers. But even more aggravating to them was the fact that the protein powder seemed to float around in their car and cover the seats and console. Joe had always been an entrepreneur at heart and wanted to start his own business. As they were pondering the protein powder dust in their car, they came up with the idea of a “pod” containing protein powder, encased in a dissolvable and ingestible film that could simply be dropped in a cup and mixed with liquid. Despite the fact that they were both just out of college and had a newborn son, in the summer of 2016 they took a giant leap of faith. 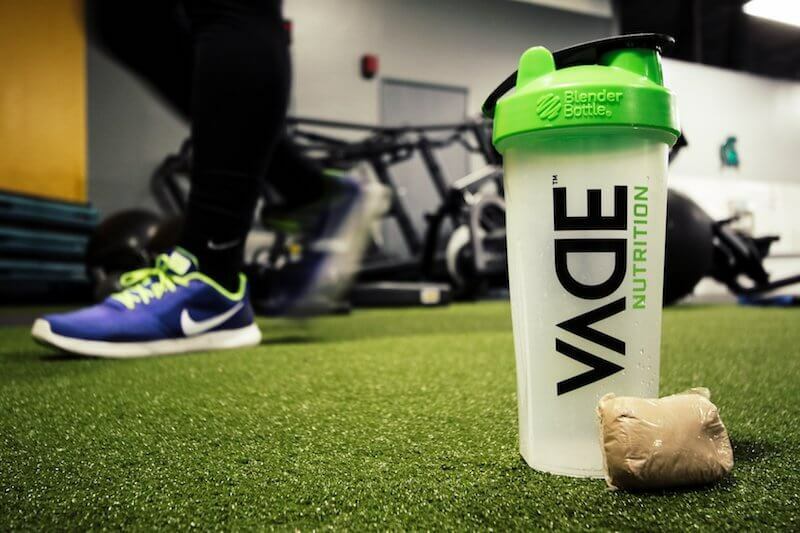 With a patent pending on their Protein Scoops, they founded Vade Nutrition and, as Megan puts it, “never looked back.” They launched the product on their website in July of 2017, and began to promote it on Facebook, and through appearing at health and fitness expos, such as the Arnold Fitness Classic in March, 2017. The Scoops contain triple-filtered 100% whey isolate protein, which is the fastest absorbing and leanest protein on the market. They contain no sugar and each serving provides 20 grams of protein, 1 gram of fat, and 2 grams of carbohydrates. Vade meets the standards for the Safe Quality Foods Program (SQF III), British Retail Consortium, and is FDA certification compliant.